The Parlando Project started out as a podcast, which I wanted to be just the short audio pieces combining various words (mostly poetry) with as varied music as Dave and I could produce, presenting just the piece itself, without chit chat. The Parlando Project is available on all the leading podcast sources, it still can be consumed that way, even though it’s not a podcast as the form is now expected to be. In contrast, I loved how pop music radio operated in my youth, when bang bang you’d hear 3 minute records by Aretha Franklin, The Zombies, Slim Harpo, The Beatles, Sam the Sham and the Pharaohs, James Brown and Bob Dylan all jumbled together without any defenses of their value other than the glorious, various, numerous sound that came out of the speaker grill. But, some folks will want to know something about the pieces, and rather than rambling on mic about them, the “show notes”/ blog entries began to get more elaborate as the project went on. Last summer I started to think of the blog as the main thing instead of the adjunct thing. 2. What is your favourite post on your blog? My favorite (losing u, and crossing the ocean—which sounds like the germ of a might-be-too-half-clever song)? The blog post is one of my shortest, and the audio piece doesn’t even have my voice, but “The Garden of Trust” is the Parlando Project piece that moves me the most. I’d tear up when I was mixing it. By far the most popular piece has been George Washington’s teenage love poem, “Frances.” Why? Illuminati web-bots boosting Washington’s hits? Angsty teenagers? Xerxes fans looking for a break from Purim? 3. Who are the top 3 bands/musicians that most inspire and influence you as a musician? Oh, this is so painful. The list should be more like 300. Even though the blog is about “Where Music and Words Meet,” I must rein back from talking about music on the blog or I’d wear a reader out. Doesn’t everyone understand that the book and movie “High Fidelity” is a documentary and has no funny parts whatsoever? Artists—just as important in some regard to me—will be left off! You ask three, so I’ll focus on musicians associated with words that motivated me most generally, and not singer-songwriters. Frank Zappa. I met him and talked with him for a bit more than an hour in 1970. Reformed me artistically from a romantic to something else in that short of a time. I don’t completely share Zappa’s Dadaist sensibility, which is something like Dave Moore’s, but I need that to buffer my tragicomedy, even when it offends me. Here was a guy who didn’t separate R&B, rock, jazz, and “classical”/serious composed music. There was nobody who did that before him, and there’s nobody that’s done it since, so I try to do it at a lower level. The Patti Smith Group. I could fill a list somewhere between 50 and 100, of artists who combined music with spoken/chanted word and poetry, therefore influencing the Parlando Project in doing the same; but if I had to pick one, it’d be the PSG. I’d read Patti Smith on the page before the PSG, and so I was already primed, but their first single and LP galvanized me when they came out. Taken together they are predominately spoken/chanted word records with co-equal music that’s not just a background sound bed. Obviously, there’s a sensibility there that comes from Patti Smith, but I’m saying the Patti Smith Group not just Patti Smith. Lenny Kaye from the first poetry readings with just Smith and Kaye on electric guitar had to invent something new with whatever musical chops he had on hand. I still think “What would Lenny Kaye do?” when working with a poet, and the younger Smith’s ecstatic vocal style, along with the other modes she added since then, is something I still aspire to. John Coltrane. In regard to musical chops on any instrument, I’m not John Coltrane’s left pinky. I even have trouble faking saxophone lines. I like his later free jazz recordings in small doses, and appreciate the concept, but I can’t listen to it for hours, but when I’m most troubled or down on myself, listening to prime era John Coltrane just sets me vibrating with him on a molecular level. If I had to suggest a syllabus for a course on being an artist (any field) I’d suggest a John Coltrane biography or two. To me they’re like reading the life and sermons of the Buddha must be to Buddhists. It’s this, and his uncanny ability to speak wordlessly on his instrument, that makes me include him as a music/words influence. Apologetically, I’ve just realized that none of these are musicians who are invariably easy to listen to; that they all have more detractors and “does nothing for me” listeners than fans. Two out of the three even offend on purpose when they wish too. That’s not representative of the whole of my musical influences, or how I want art to always work—but these are three who moved me to do work. If you want to stream a musician you haven’t heard of until you read it on a blog, then I suggest Bill Frisell, Steve Tibbetts, or Dean Magraw, all of whom have a breadth and beauty to their work I try to emulate, both as a guitarist and in my use of percussion. 4. If you could have a drink with any poet (alive or dead), who would it be? Once more my love of variety makes for a hard choice. Often if asked, it would be the poet I’m trying to interpret with performance and music on that day! That said, I’ll say Emily Dickinson. I’d so want to tell her “You’re going to win! You and the immoral Mr. Whitman are going to be the founders of American poetry. Every single day, people are going to read and be pleasantly puzzled by your little verses, and esteemed writers will look at what you did and wonder how you could invent such a new way to speak poetically.” I’d want her to answer all the Sunshine Blogger questions and more, and finally, though we’d be challenging bladder capacity by then, I’d want her to dish. 5. If you could go back in time, when and where would you travel? Easy first part. I’d target the first two decades of the 20th Century. I’ve always been drawn there for some reason, even though it’s not a period that gets much attention generally. That feeling has only intensified from my need to draw largely on works in the Public Domain (pre-1923) for the Parlando Project. Modernism in a lot of delicious flavors was breaking out all over, and in every art. Politically, a challenging time of vast inequality, but also a time of great hope that change was at hand. So, like time-travelers everywhere I’m going to expect to be reasonably well-off—but where to land? If New York City, a chance to observe the melting pot at its most brimming. Visit the 1913 Armory Show to watch the onlookers’ new eyes seeing for the first time the paintings by the new eyes? Hobnob with the political, social and artistic radicals, some of them recently emigrated from my own family’s base in south-eastern Iowa like my “cousin” Susan Glaspell. Maybe fake a letter of introduction from my grandparents and ask Susan to show me around the Provincetown Playhouse and Greenwich Village? Meet Edna St. Vincent Millay. Or Chicago? Meet Carl Sandburg and his young family. Swing by the offices of Poetry magazine and suggest to Harriet Monroe that she should read my blog (grin) for tips on hot new writers. Ride with Fenton Johnson in his electric motor car, and refrain from telling him he isn’t going to win and that there’s nothing I can tell him with my extra century of knowledge that can change the racial ignorance and prejudice of America between his time and now. Or Paris. Meet Apollinaire, Reverdy, Picasso, Satie, and—oops! my French speaking skills are non-existent. OK, next. London. That’s it! Frost! Pound! Yeats! HD! Florence Farr! George Bernard Shaw! Crash the Poets Club to meet T. E. Hulme and hope I don’t get on his bad side. Sit close to F. S. Flint as a cover and act like I know him. Ask Flint about Herbert Read. Learn to play the Yeats’ psaltery and find out exactly what the Yeats-desired music “chanted, not sung” style sounded like. Slip Rupert Brooke a can of Deep Woods Off and suggest he look up Pound. Visit with Rabindranath Tagore in Hampstead. And the clincher for London? 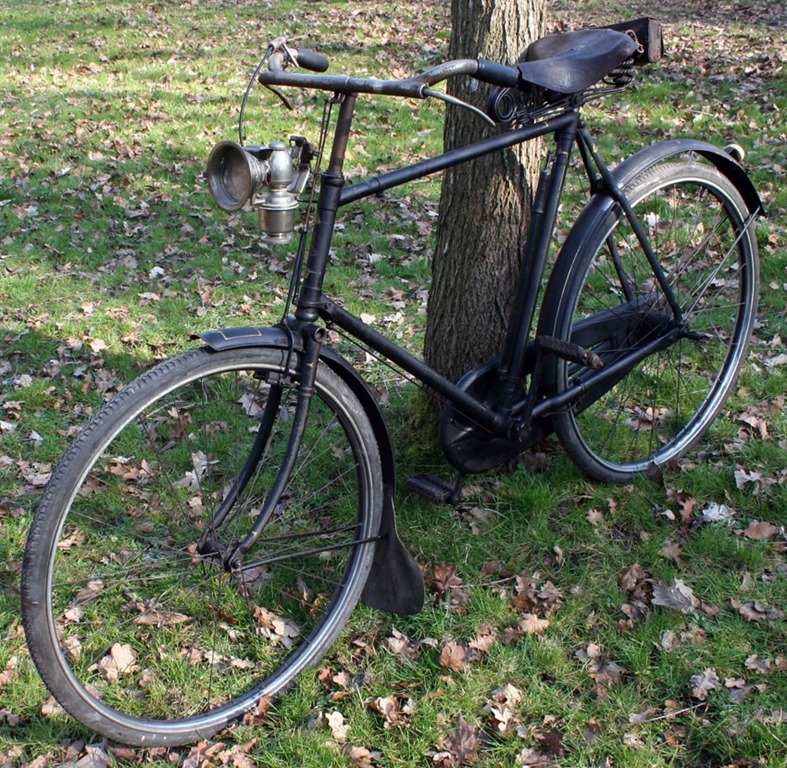 Buy a Raleigh bicycle with a Sturmey Archer 3 spd hub and a kerosene headlamp and ride around town. Why is that the clincher? I’m an introvert. Sadly, I might never make those social connections, even after traveling through time, but the bike ride would be worth it. Yeats, Pound, HD, Frost, & Flint…tally ho and toodle pip! 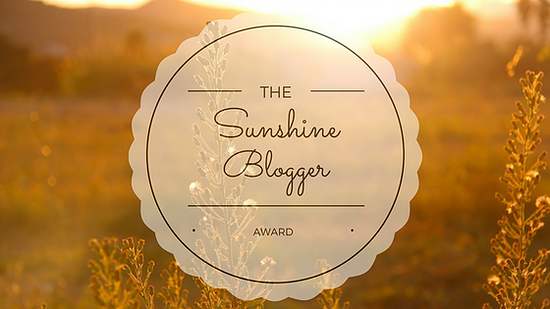 Next up, my Sunshine Blogger questions and nominations.